Mini body design, ultra-light, 4.5g weight, with this original Xiaomi mini Bluetooth in-ear Headset you feel nothing while wearing. It fits auditory meatus, hard to fall out. Bluetooth Version 4.1 and it is compatible with 4G Network. The CSR 8610 Chipset improves compatibility, stability and functionality. In addition, the IPX4 waterproof technology brings the possibility to make you enjoy sports as much as you like. The Xiaomi mini Bluetooth in-ear Headset has only one button but with multi-operation function: light press to play/pause your music or answer the phone call, long press for 1s to reject calls, long press for 5s to connect Bluetooth etc. When having a phone call, just turn the direction of mic towards to your mouth. The Mems silicone microphone and 7.2mm strong magnet moving coil unit make your voice powerful and clear. It has a built-in rechargeable battery with 40mAh capacity. 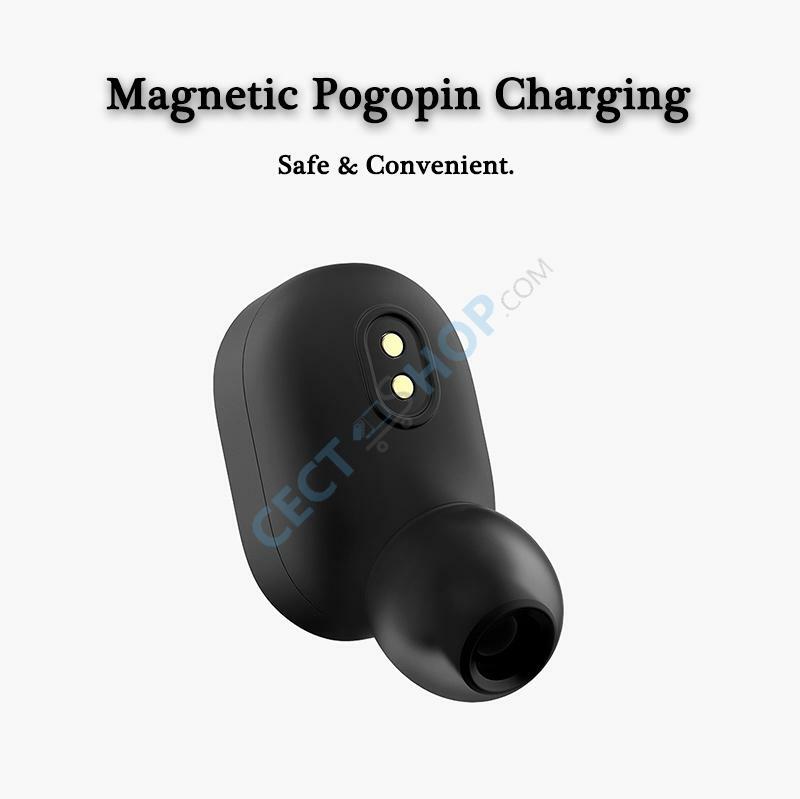 The battery is charged via microUSB port and it will be full charged in only 1 hour and lasts 60 hours in standby mode. With normal usage it holds for 3 hours. This original Xiaomi mini Bluetooth earphone is delivered with 3 pieces silicone ear caps in different size to meet your needs. Order and purchase the original Xiaomi Mini Bluetooth In-Ear Earphone now at your #1 online shop for mobile consumer electronics – CECT-Shop.com. Sehr guter Klang, gut verarbeitet, sitzt stabil und der Akku hält sehr lange. TOP!! !